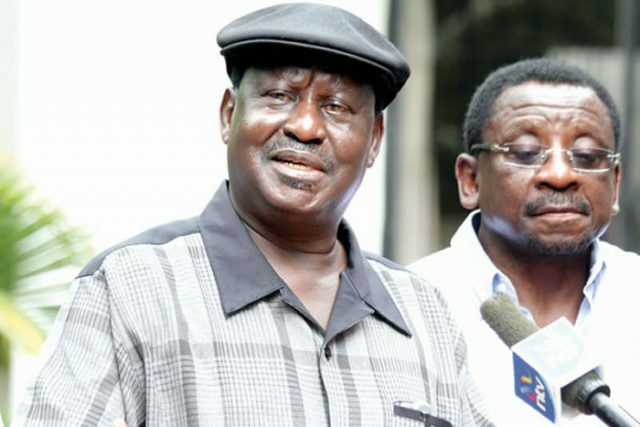 Raila odinga has always been an enigma of Kenyan politics. But it is his lack of good campaign managers and advisors that led to his downfall. Odinga Unlike Uhuru Kenyatta is poor in management and does not know how to choose advisors. Uhuru Kenyatta excels in this area. Advisors responsible for Raila downfall include David ndii, ndii mind was not in winning elections but succession after being defeated after elections, he is still pushing the succession agenda. Others reposible for Raila’s predicament which is caused by his foolish handlers Gladys Wanga, James Orengo and political hacks and hecklers who give contradictory instructions and dumb advice - the Atiende Omollo’s and Miguna Miguna types. Orengo carries the day in bad advise he gave to odinga about boycotting elections, he together with muthama managed to convince the NASA principal that without him the elections will not be legitimate. Raila announced to the world that he will not participate hoping international community will come to his aid . Unknown to him Kenyan constitution provides for a candidate to withdraw from elections no matter who he is.